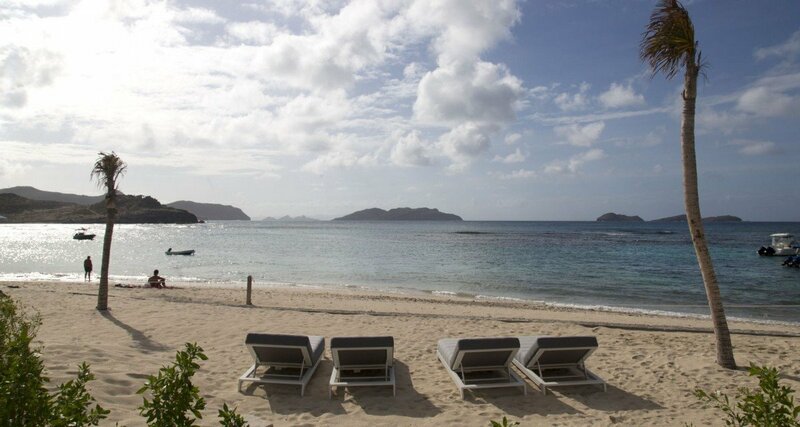 Villa Sand Castle, St Barts. 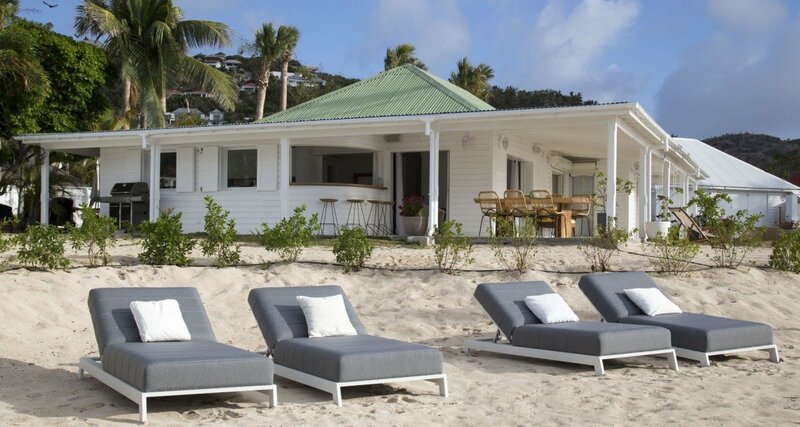 Easily living up to its name, the charming Villa Sand Castle does indeed sit directly on the sands of the Anse de Lorient along St. Barts central, northern coast. 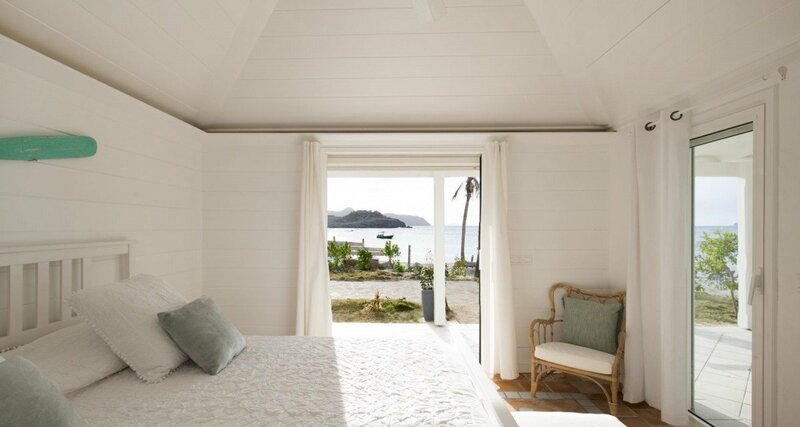 With this fantastic location, you are not only close to a wonderful, sheltered beach but also in the heart of the island. 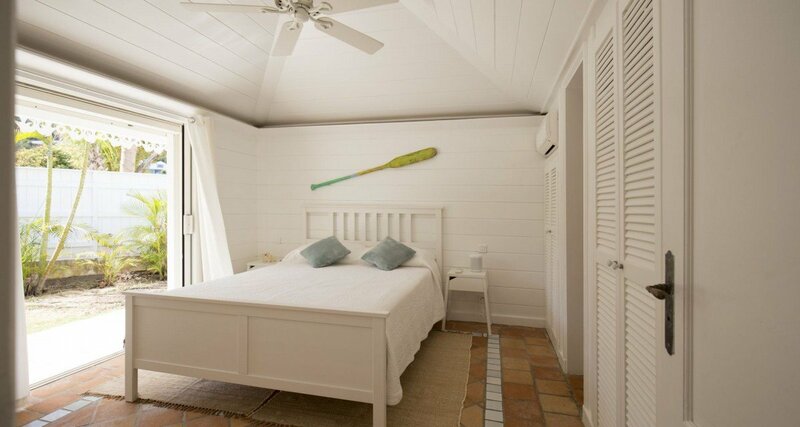 This makes the four-bedroom property a perfect base for you and your party to explore the many delights the island offers. 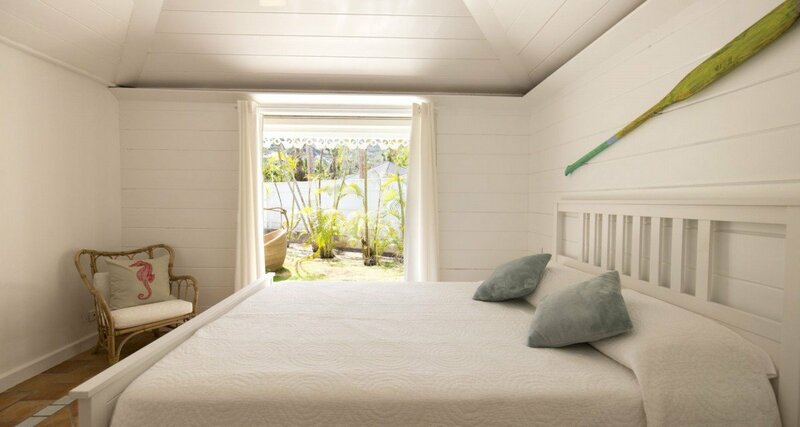 Naturally, with that beachfront setting, you may decide that the charming villa is all that is required for an unforgettable getaway with family or friends. Start each day on the large and appealing terrace which has been styled and designed as the ultimate outdoor living space. A full al fresco dining area, a curved breakfast bar, and even a barbecue space, are all open for your enjoyment. Naturally, you can also take just a few quick steps to your private beach lounge with oversized sun beds or stay on the cozy terrace and enjoy the al fresco lounging spaces, too. 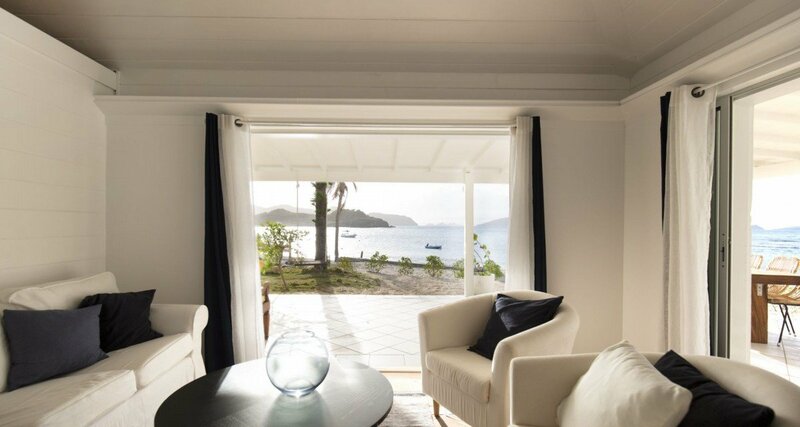 Step inside the villa and you can still savor the delights of the sea breezes, sunlight and scenery from the comfort of the spacious living room with its oversized furnishings and appealing décor. 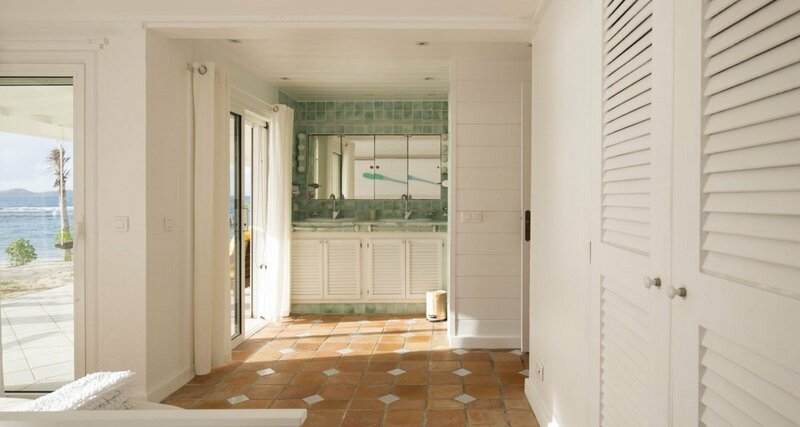 Terra cotta tiled floors, a creamy white palette and the use of natural wood and other materials ensure that you always feel totally relaxed at all times. 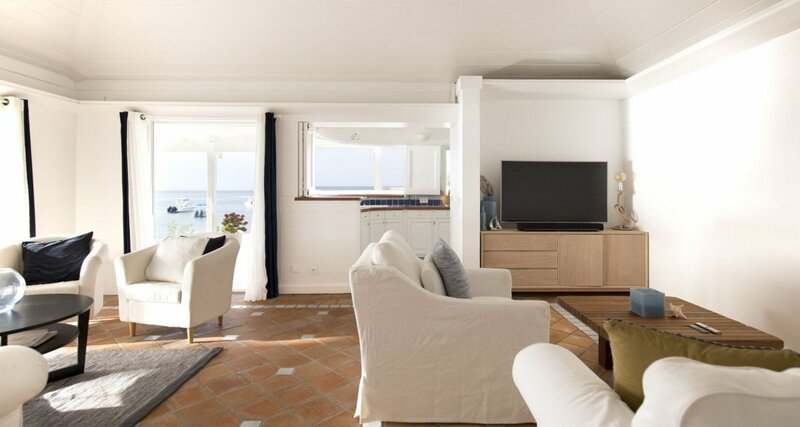 The lounge area also features a media room with entertainment system, enabling you to watch a movie without missing a second of the sea breezes or scenery. Nearby is the amazing, open-air kitchen with its curved countertops facing out to the terrace. 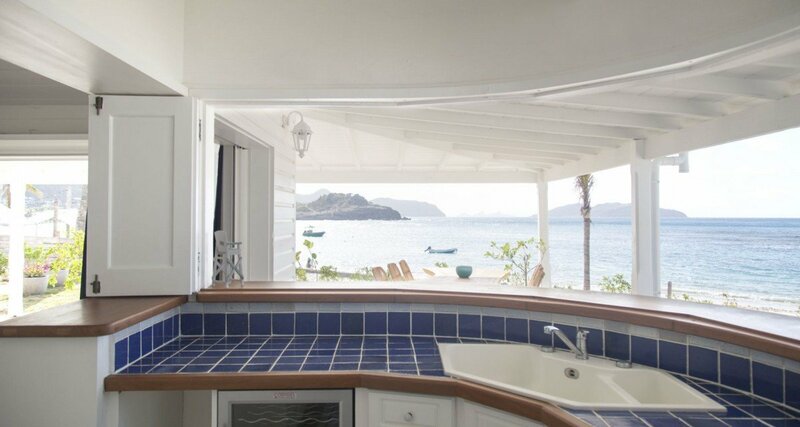 Open the shutters and savor the views as you make meals, snacks, or drinks at any time of the day or night. Equipped with the best appliances, it even has a wine cooler beneath the blue tiled countertops! Naturally, the four bedrooms also offer this open-air feeling with each having direct access to the terrace, and two with large, ensuite baths. 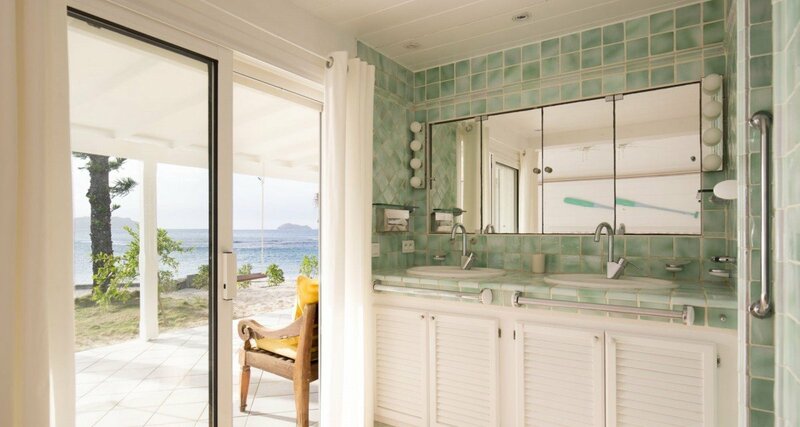 The bedrooms are all double suites, and two share a large bath and shower. With so much to enjoy right on its private grounds, the stunning Villa Sand Castle is the perfect choice for a holiday with your closest friends or even as a gathering spot for a getaway with family. 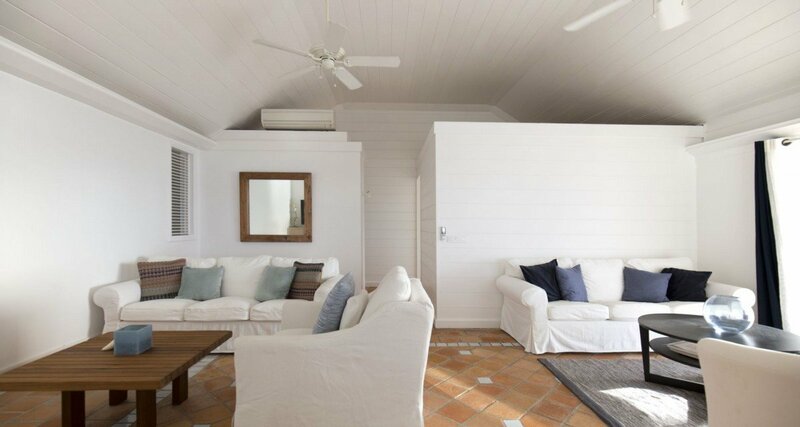 Enjoy the beachfront setting, but even more the amazing open-air feeling throughout. 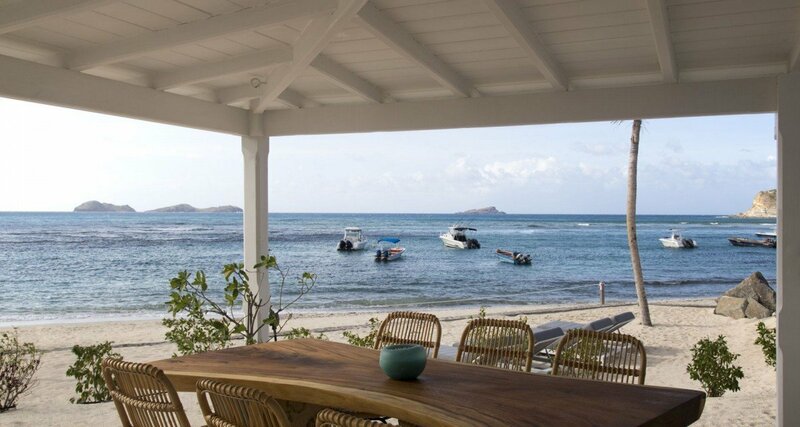 Like the ultimate tropical escape, it is your own private island paradise! Bedroom 1: Master bedroom with a king-size bed, A/C, ceiling fan,safe, access to terrace and en-suite bathroom with shower, double vanity and WC. 2 guests maximum. 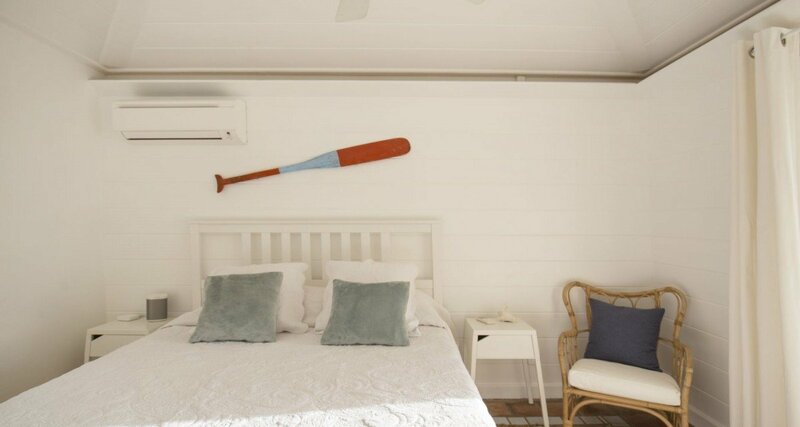 Bedrooms 2 & 3: Bedrooms with a queen-size bed, A/C, ceiling fan, safe, access to terrace and en-suite bathroom with shower, vanity and WC. 2 guests maximum. Bedroom 4: Bedroom with 2 single beds (can be made up as a king-size bed), A/C, ceiling fan and shared bathroom with shower, vanity and WC. 2 guests maximum.